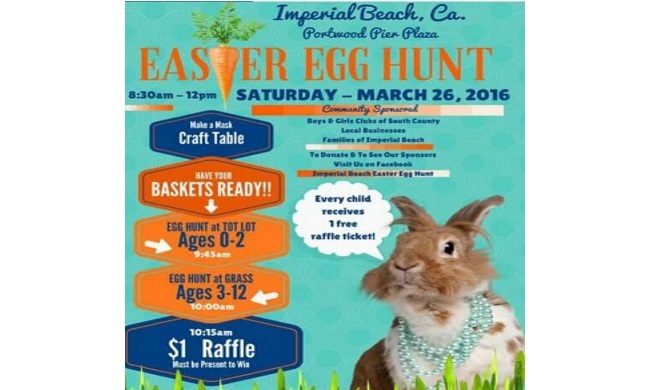 There will be two big "Easter Egg Hunts" to be held in Imperial Beach this Weekend. At the Imperial Beach Pier Plaza on Saturday and St James Church at IB Blvd & 9th St. Sunday March 26th & 27th. the Imperial Beach Pier Plaza on Saturday March 26th will start at 8:30am and have two age groups. The first group will be for 2 years and younger and the second for ages 3 through 12 with a raffle at 10:15am. The Egg Hunt at St James Church on Sunday the 27th at noon. 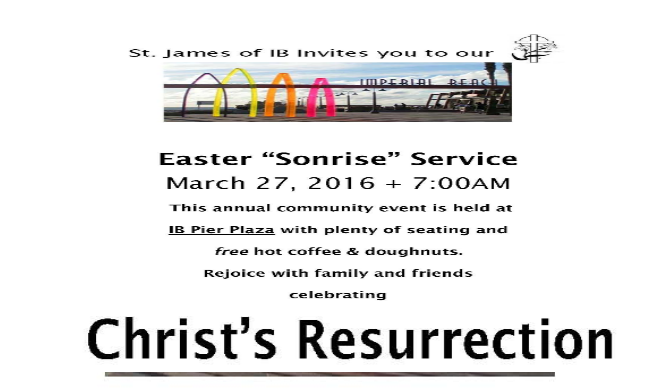 It will be preceded by an Easter "Sonrise" Service at the Imperial Beach Pier Plaza starting at 7am. Following the service their will be coffee and donuts. The normal Sunday service will start at 10am at the Egg Hunt will start at noon and it runs very quickly so show up early. 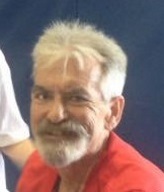 The Saturday Event is sponsored by the Boys and Girls Club. Sunday is a St James Church Event. All are open to the public. Flyers for both events can be found below.